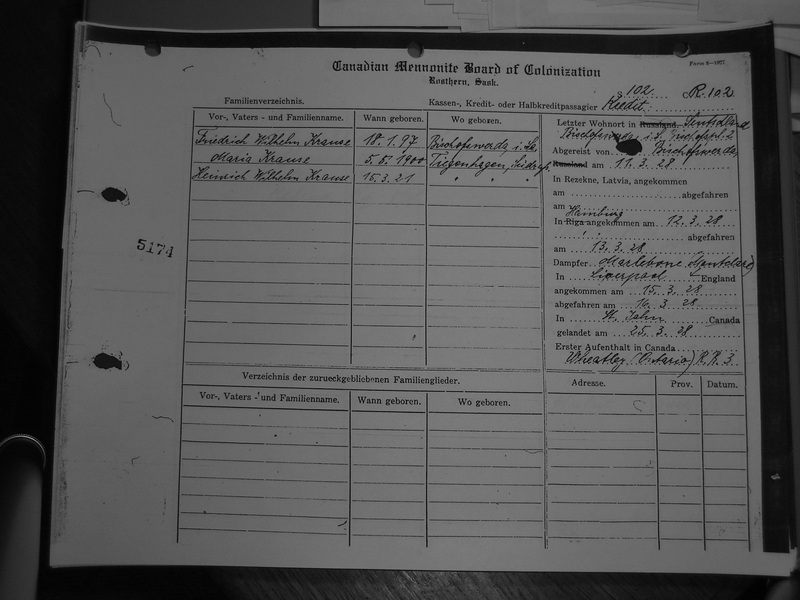 [Jonathan Frederick Wagner, A History of Migration from Germany to Canada, 1850-1939 (UBC Press, 2005), pp. 11, 166, 171. Note: German emigrants after 1850 typically embarked in the Port of Hamburg or the Port of Bremen [Port of Bremerhaven]. 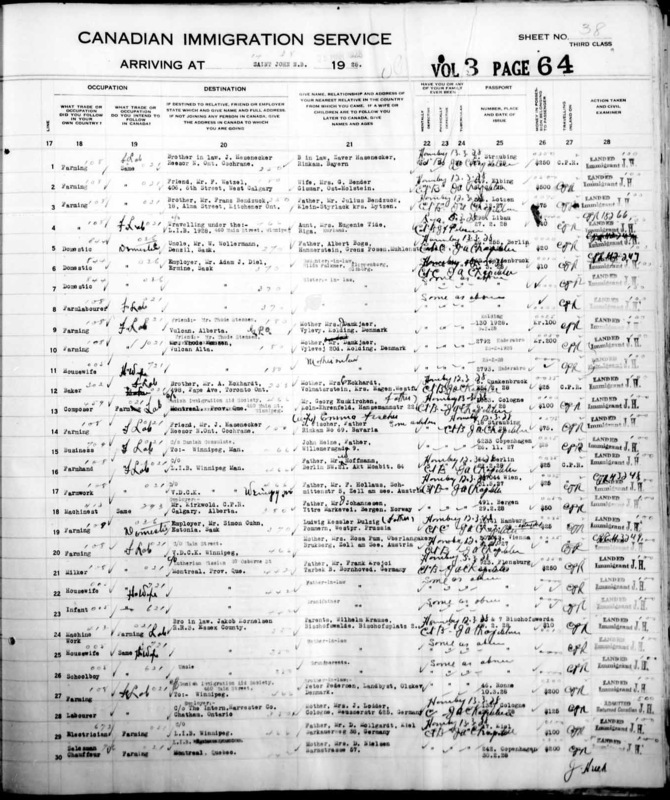 For example, see Bremen Passenger Lists 1920 - 1939 - http://db.genealogy.net/maus/gate/index_en.html The archives of the Bremen Chamber of Commerce [Handelskammer] contain what appears to be a complete set of duplicate passenger lists for the years 1922-1939. 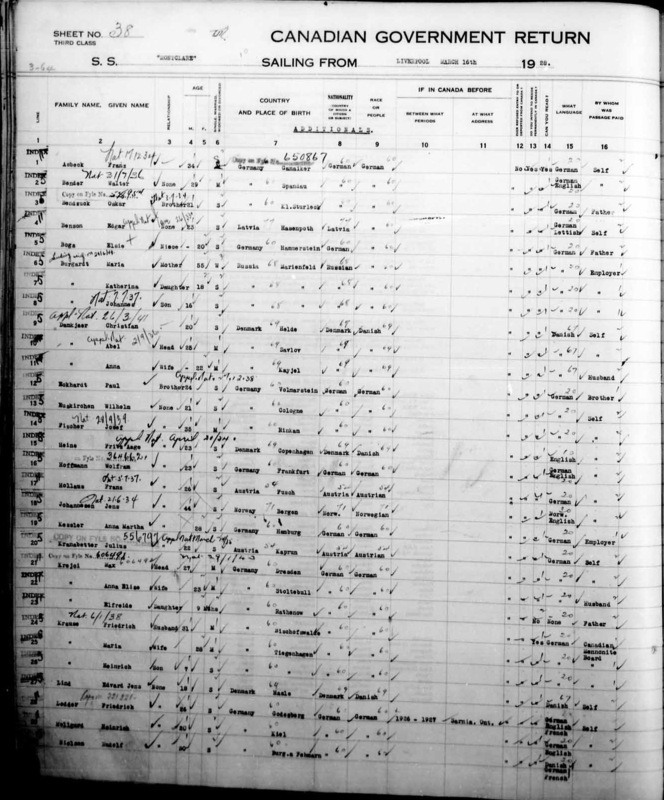 [http://www.bogenschneider.org/ship_records_passenger_lists.htm ]. Wilehlm Krause does not appear on this list. 1 Line 24 Index 5? 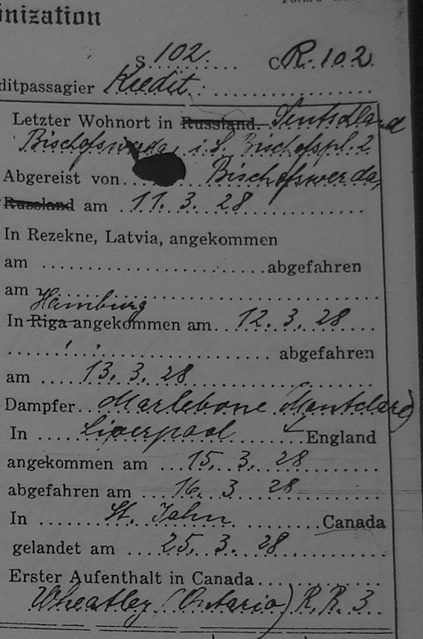 Follow you later to Canada, give Names and Ages Parents, Wilhelm Krause, Bischofswalde, Bischofsplatz 2. Ever Refused Entry or Deported from Canada? " Do You Intend to Reside permanently in Canada? " 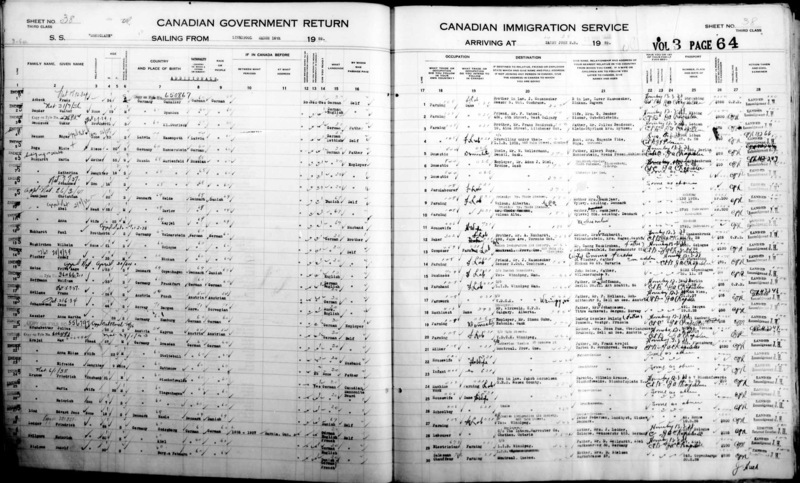 Follow you later to Canada, give Names and Ages Mother-in-law "
Passport: Number, Place and Date of Issue "
Follow you later to Canada, give Names and Ages Grandparents "
Vor-, Vaters - und Familienname.